As a teacher, parent, and blogger, there is one tool that I have come to cherish: my DSLR camera! I’ve been able to capture incredible smiles, my children’s first steps, and amazing moments through my in home preschool. 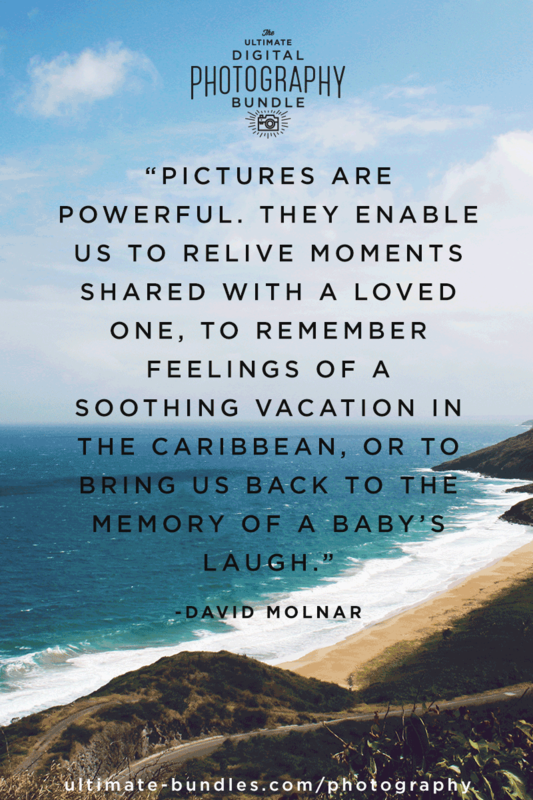 It’s SO important to savor it all… to relish those moments. But you know what’s equally important, if you ask me? To be able to look back and relish those moments all over again. A month from now. A year from now. Fifty years from now. Children move so fast, and it’s not until I look at a photograph that I can actually savor the moment! The problem is… it’s so easy for those photos to come out blurry or hard to see. You think you’ve taken a wonderful picture of your beautiful boy standing by himself for the first time, but actually you’ve managed to capture the moment when he falls down, and all you see is a huge blur! If you want to learn to take better photographs (and I always do! ), my friends Ryan and Steph at Ultimate Bundles have put together an incredible product to help with your photography woes. It’s called The Ultimate Digital Photography Bundle (Beginner’s Edition), and it contains a curated collection of ebooks and video training guides to help you become a better photographer. I just bought the intermediate bundle which you can get if you have a bit of a handle on your camera already. It’s called The Ultimate Digital Photography Bundle (Intermediate Edition), and it’s a collection of ebooks, video training courses and software specifically for intermediate photographers (as you may have guessed from the name!) just like you. There’s even better news! Everything in the bundle has a combined total value of $555, but for one more day only, The Ultimate Bundles Team is selling the entire bundle for just $37 – a discount of more than 90%! What’s more, they’re also throwing in a FREE copy of FX Photo Studio Pro software from MacPhun (which provides stunning filters and photography effects) worth $29.99! This amazing deal is available for just $37. I would have to admit that this is something I wish was available when I first picked up my DSLR! I love taking photos of the children while they are doing art and then putting the art and the photos up for the parents to see. Would love to see photos of your photo books that you do if the children. That’s a great idea. I will have to make a post on that :). Thank you, Kathy!